Throughout my pregnancy I didn't really splash out on many items of maternity clothing; I made do with what I already had and just adapted some of my outfits to fit my expanding middle. 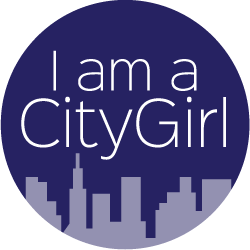 But, once Aria arrived and I began breastfeeding I quickly realised that my wardrobe contained about 3 items I could wear that provided easy access to the boobage area. I went on an online mission during night feeds to find some suitable nursing outfits.... sounds easy right? Well, it bloody hasn't been! I'm so surprised at how limited the range of clothes are for breastfeeding ladies from high street shops... they seriously need to up their game! Yes I'm breastfeeding, but that doesn't mean I want to surrender my sense of style and dress like a 1970's teacher. 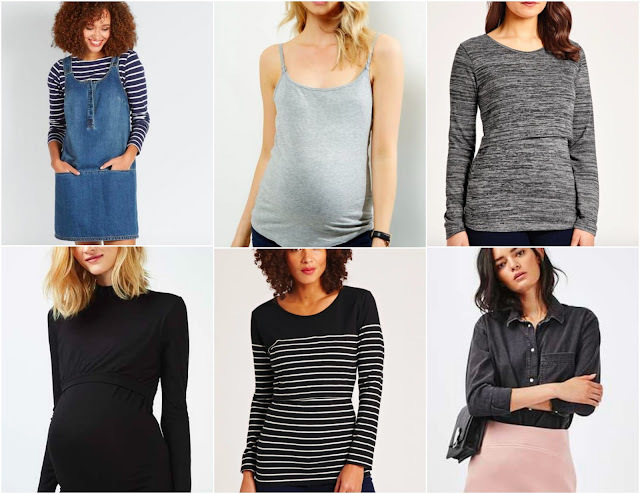 I've also found that the majority of high street brands who do stock a small number of breastfeeding clothes lump the easy access items in with maternity clothes- why do I want to buy clothes that I see modelled on pregnant women.. I'm not pregnant anymore! Fatface - Layla Demin dress £49.50- Not specifically a breastfeeding dress but I've found this dress super useful since purchasing just before xmas. The straps unbutton at the shoulder for easy access and I can mix and match the tops I wear underneath. They don't have to specifically be breastfeeding tops either because the bottom half of the dress keeps my tummy covered up. New Look- Grey nursing cami £7.99- A cheap and super useful vest to have as part of the breastfeeding wardrobe- I mainly wear this underneath my usual jumpers and shirts; again, it means that I don't have to flash my tummy when feeding as the straps unclip to reveal a hole around the nip area. This vest is also available in white and black. JoJo Mamanbebe- Grey Marl feeding top £29- I very often chuck this top on with a pair of jeans and a bobble hat and I'm ready to go; its warm, got a hidden slit for nursing and is similar to a top I had and loved before i began breastfeeding. Topshop- Funnel neck feeding top £20- I love funnel neck tops and this one is specifically for nursing; it has a hidden slit across the chest area for easy access. I've been wearing this under the Fatface denim dress; this outfit makes me feel confident as it's pretty much an outfit i'd chose to wear even if I wasn't breastfeeding. The only downside of this top is that its only available in black...not ideal for those occasional moments when baby decides to be sick on me after a feed!! JoJo Mamanbebe - Breton Striped feeding top £26- Out of all the items I've featured I wear this top the most... I team it up with jeans or the denim dress and tights. This top also has a concealed slit across the chest area and is available in a number of different colours. Topshop- Moto Demin Oversized Shirt £38- Again, not specifically a breastfeeding top but one I've found very handy to put on over the feeding vests. I do find I have to be a bit more confident about getting more flesh out when wearing shirts and the vest but it doesn't bother me much anymore. I pretty much just wear the above 6 items with jeans at the moment and then accessorise with a different bobble hat or different coats to add some variation! I'm still on the lookout for some more breastfeeding friendly dresses, do you know of any good websites? Have you come across the same problem when looking for nursing wear?